To learn how to program, I first downloaded Visual Studio and bought the textbook Microsoft Visual Basic 2010 Step by Step by Michal Halvorson. After finishing the book, I was ready to start creating my own games. Starting from simple forms-based games to complicated games with graphics and artificial intelligence, each game introduced a new concept into my arsenal. Scroll down to see and download some of my games. My first game created in Visual Basic included many concepts that were new to me. Some of these are timers, pictures, opening a new window, and making multiple pages in an app. 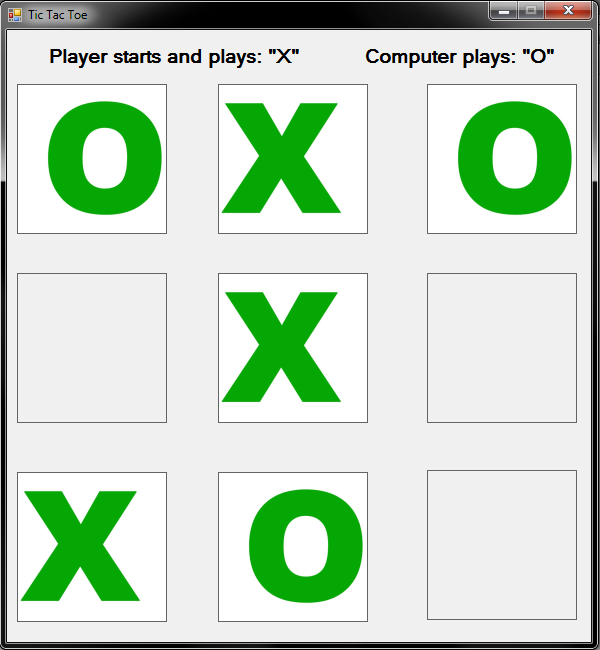 My next game in Visual Basic was a matching game. This game implemented a SQL Server, where after you finished the game, your score was saved to the database. You could view everyone's scores, and compete to be the top of the list. 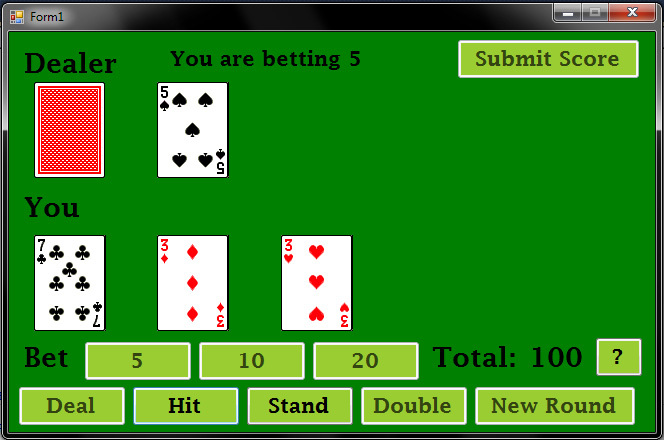 Next, I made Black Jack. This game has complicated logic, a database, and a dealer to play against you. Space Invaders was another step up in learning concepts. Created using GDI (Graphic Device Interface), this game implemented graphics, sound effects, movement, and a two-dimensional array, all to re-create this 80's classic. 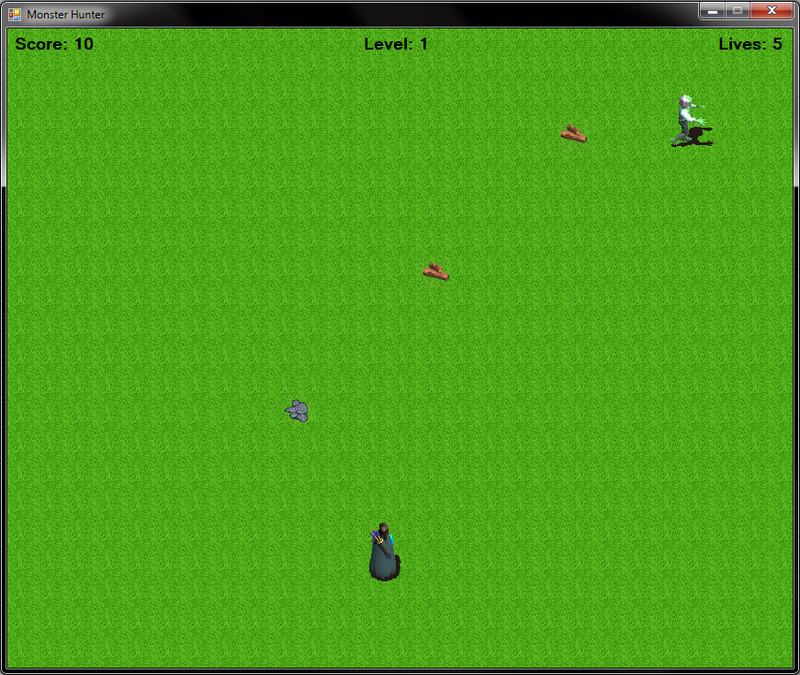 This game, also using GDI, was my very first game in C#. C# is more complicated than Visual Basic, but is much more commonly used. I used this game as a bridge to help me learn the language. First, I created the game in Visual Basic, then line by line, I converted the game to C#. 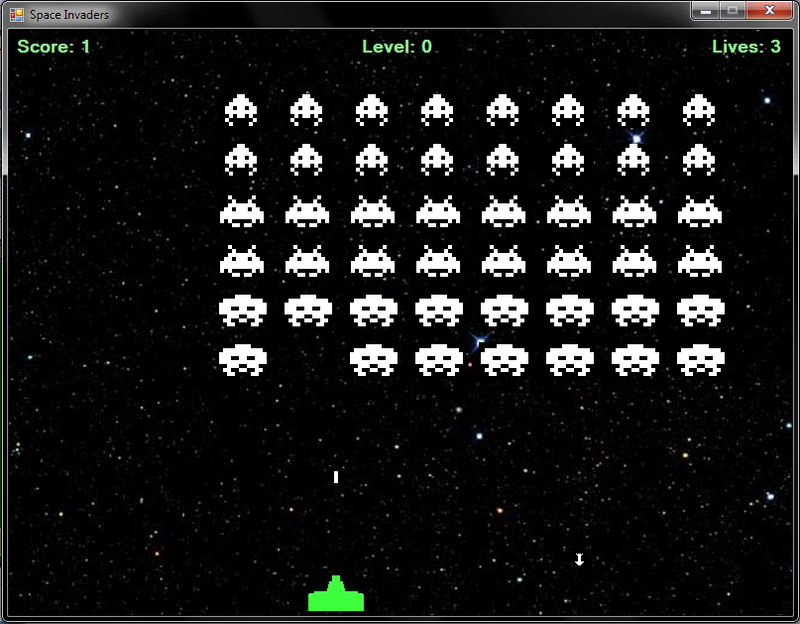 Although this game is more simple than Space Invaders, obtaining the knowledge of how to write in C# was a much better return than the game itself. 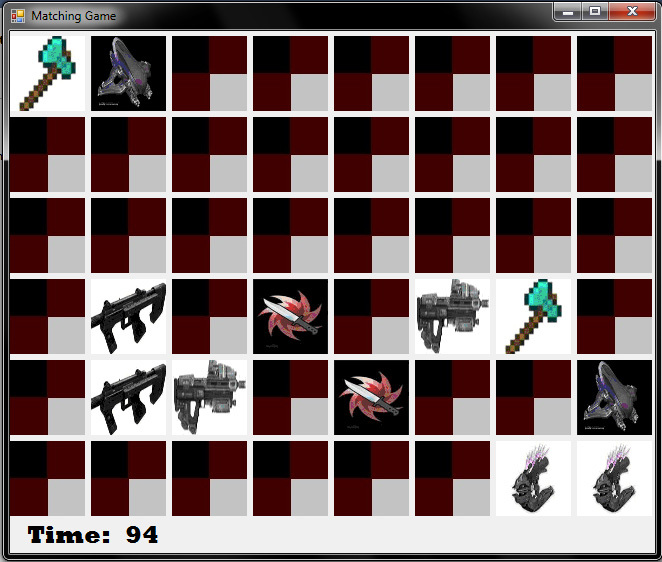 This forms-based game in C# implements one of my first artificial intelligence's to play agianst and beat you. Out of the 255,168 possible ways of playing this classic game, my AI will beat or tie you in all of them except for 4 ways. Try the game and find out if you can beat it! After finishing these computer games over the course of around a year, I decided to take a giant leap into something bigger. I started work on an Xbox 360 game. Although I had big plans for this game, little did I know that it would take me over a year to finish. To check out this game, click here or the "Xbox 360 Indie Game" tab on the top of the website.